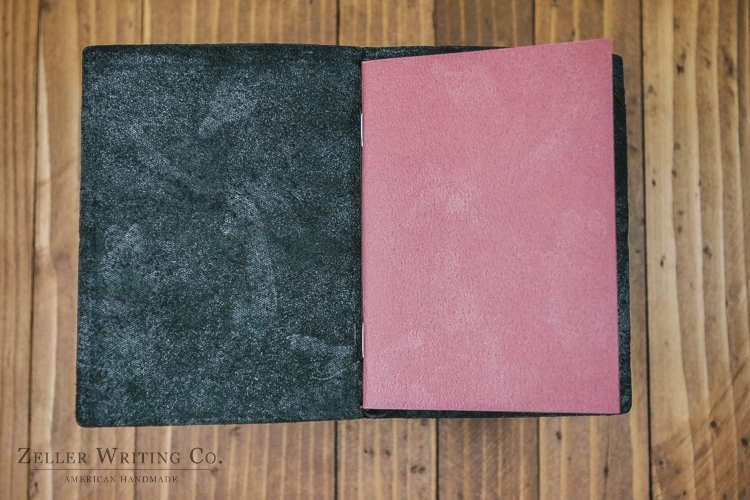 This is the basic starter pack for the passport size Midori Traveler's Notebook. 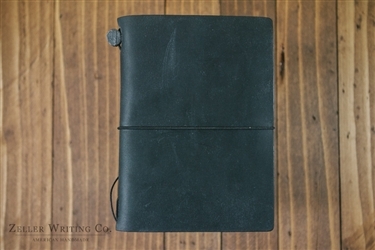 This pack includes a black cowhide leather cover, a blank notebook, a cotton bag, and an extra band. 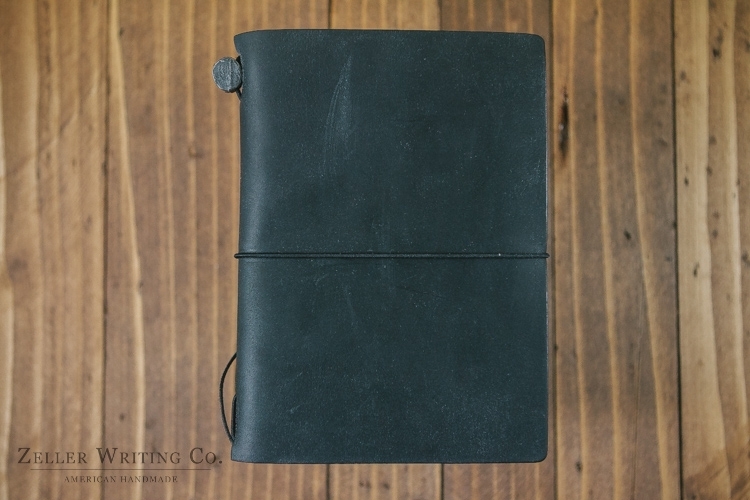 These simple notebooks are minimal in design, but high in functionality and appearance. The more you use it, the better it looks! 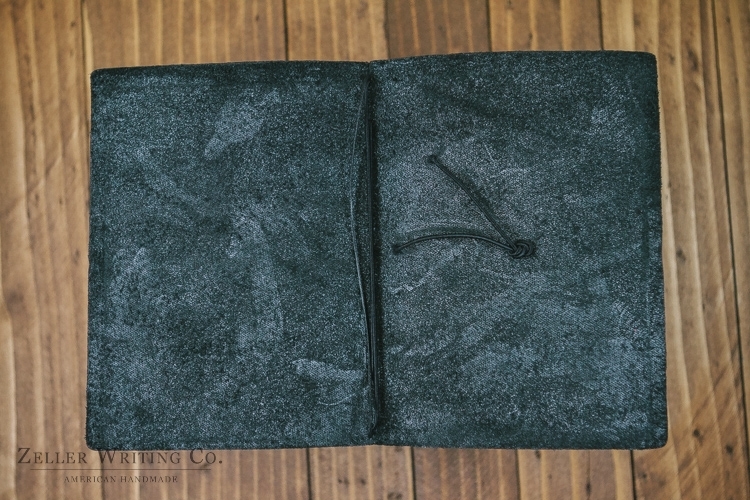 The oiled cowhide leather cover will naturally age and develop character with use. 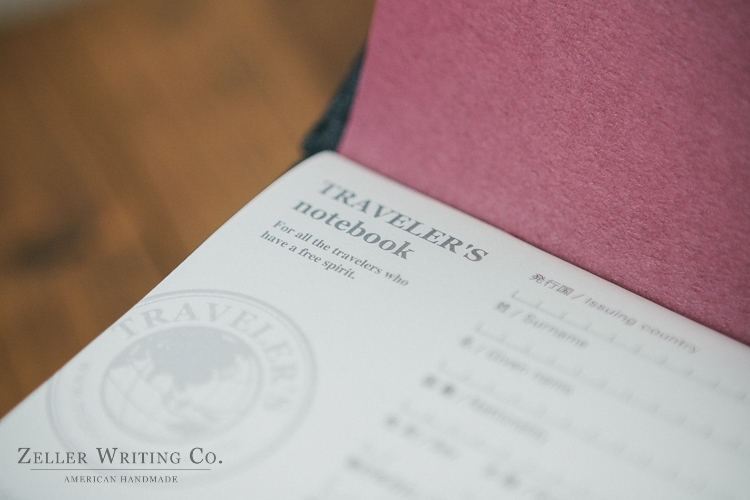 Each wear mark, stain, scratch, and crease will help record your experiences while using the Midori Traveler's Notebook. Exceptional writing experience! The paper of the Midori refills are carefully and specially crafted to provide a superior writing experience. The pages are light weight, but made to resist bleed through and so are very fountain pen friendly. Just the right size for travel! 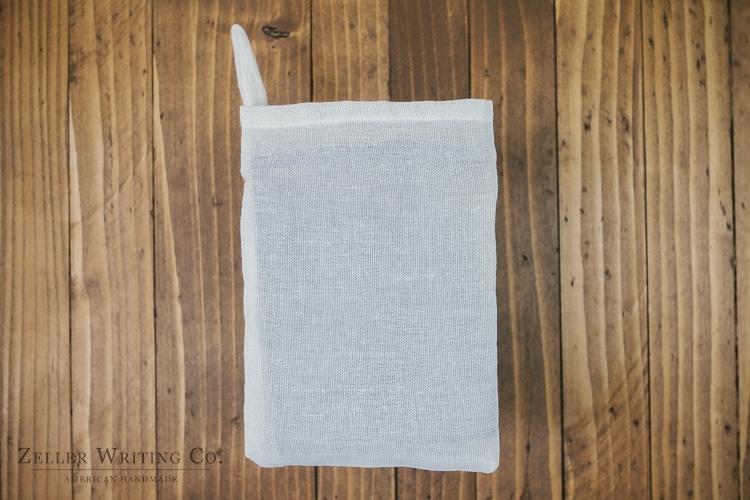 The size of these notebooks are perfect for your travels and are able to store multiple notebooks, maps, tickets, and other materials. Easily customizable to fit your needs! While the basic kit includes one notebook, you can expand it to hold many, along with multiple accessories. With plenty of refill and accessory options available, there are nearly limitless possibilities to what you can do to make these Midori Traveler's Notebooks uniquely yours!